One of the common aging signs is the appearance of wrinkles, lines, and creases on the face. There are different cosmetic procedures that can be done to remove these aging features from the face. One of the non-surgical procedures id through the use of filler treatments to replace any lost volume. Dermal fillers help restore a youthful appearance by smoothing the skin making it look more radiant than before. The functional medicine specialists at BioDesign Wellness are proud to offer cosmetic fillers for clients in South Tampa, FL. They restore volume lost during the aging process. Any creases including laugh lines, crow’s feet, and wrinkles will be smoothened by the treatment. The treatment plumps thin lips and smoothes out vertical lines that formaround the lips. Dermal fillers restore youthful cheeks by augmenting them to enhance their shape. If you have hollows under your eyes, the treatment will fill them out. If you have spots or scars from acne or chicken pox, they will be made even with the surrounding skin getting rid of any indentations. Any lost volume on the cheeks or temple will be restored when you go for injectable filler treatments. The treatment is a better alternative if other skin care products have failed. 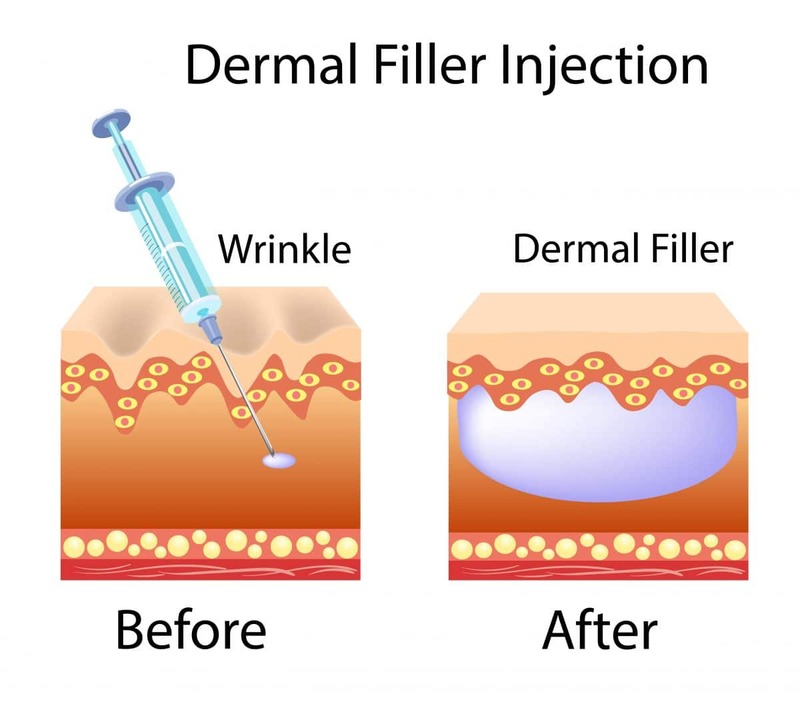 Facial fillers are gel-like substances made using a natural or synthetic substance that is injected under the skin. The purpose of dermal fillers is to fill out the area to the point where wrinkles, lines, folds, and depressions on the skin are gone. Depending on the type of filler used, the effects can last for six months, two years, five years and there are others that last longer. The treatment takes about 30 minutes to be complete and is painless. However, there might be some swelling at the injection points, but it subsides on its own. After getting the treatment, you should stay away from direct sunlight and use the recommended skin care products to ensure the effect last longer. The fillers used in the treatment can either be naturally-derived or synthetic fillers. Natural fillers produce immediate results, but the results last for about six to eighteen months. The filler eventually breaks down taking the results with it. Once the effects of the treatment start wearing off, you will need to go back to get other fillers injected to maintain the results. Synthetic fillers have more long-lasting results compared to natural fillers. The wrinkles and facial creases and lines only return since your face does not stop aging or your face is exposed to sun damage. Here are different fillers and the duration the effects last. Poly-l-lactic acid –the injections are given over several months, and the effects last for up to two years. Polymethylmethacrylate beads PMMA – It produces more permanent results. To reduce the chances of lumps forming under the skin after the treatment, you need to get an experienced doctor who knows how to handle different fillers. To schedule a facial filler appointment at our functional medicine office in Tampa, FL, click here to request an appointment or call us at 813-445-7770.